David Letterman could appear again during the Super Bowl in some funny skid promoting CBS. This happened the last two times CBS broadcasted the Super Bowl. Letterman appeared with Oprah in 2007 and in 2010 Leno joined the two. Both promos were pretty funny. 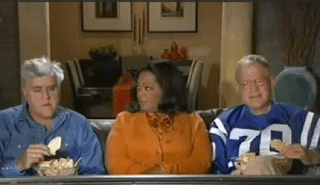 I hope CBS is indeed having Letterman show up unannounced in a Super Bowl commercial break.